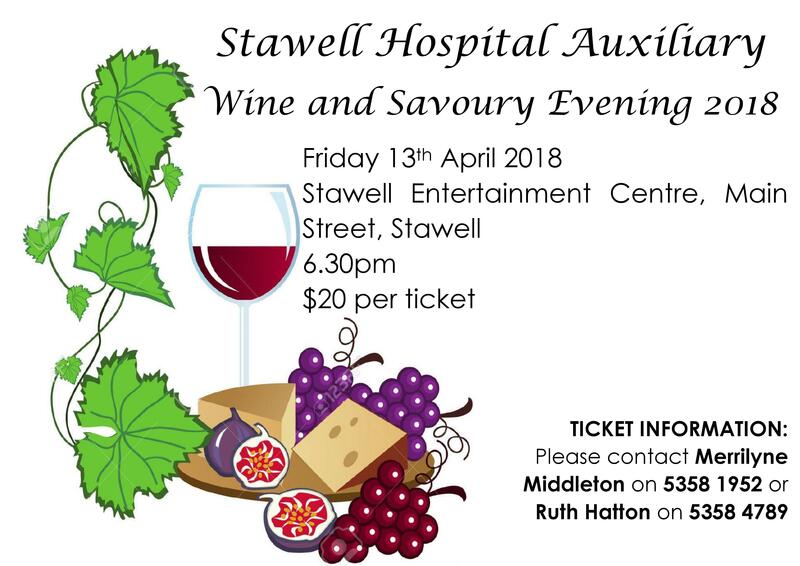 Stawell Hospital Auxiliary Wine and Savoury Evening – A night to remember! Catch up with friends while enjoying delicious food and wine. We hope that you can join us. 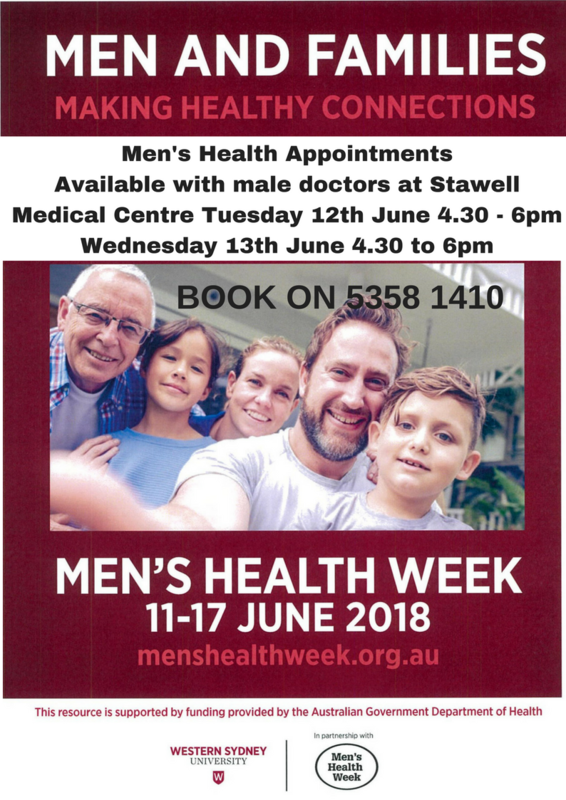 Men, we are celebrating Men’s Health Week by holding two clinics for men with male doctors. Book your appointment today! 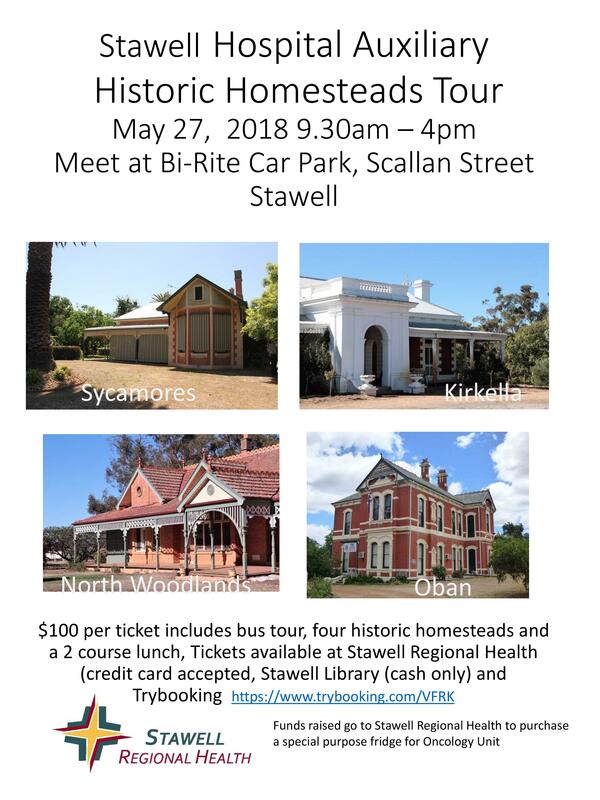 Four wonderful homesteads in the region, chauffered around by the bus and a two course lunch in the historic Stawell RSL building. 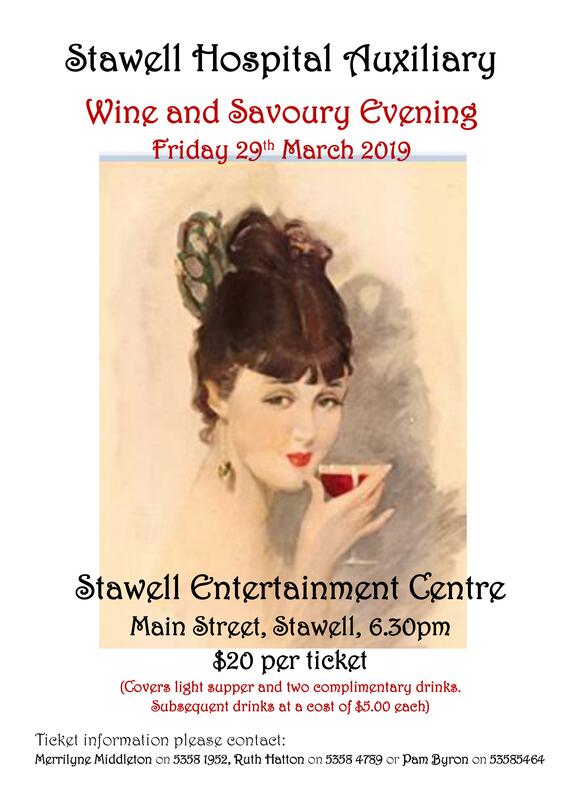 We hope that you can join us for a lovely evening and an opportunity to raise some much appreciated funds for Stawell Regional Health. 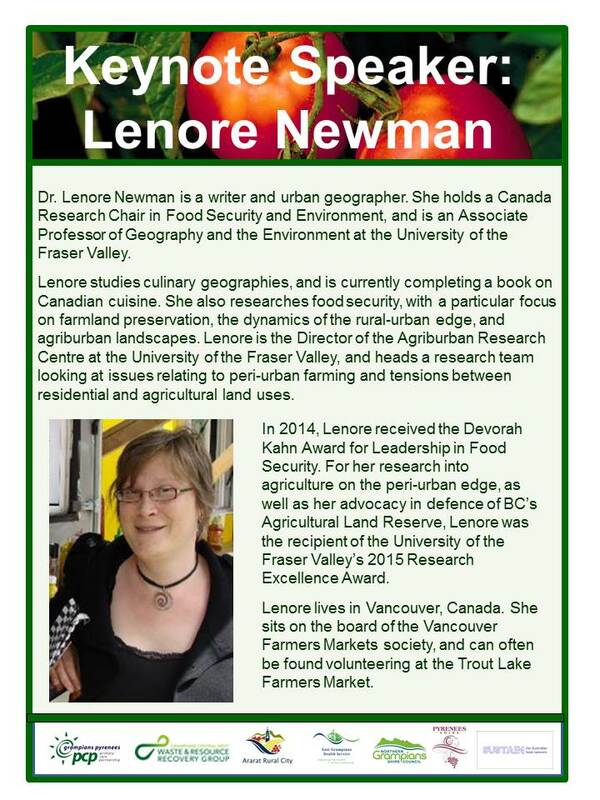 What is more important than a secure source of food? Not much really. 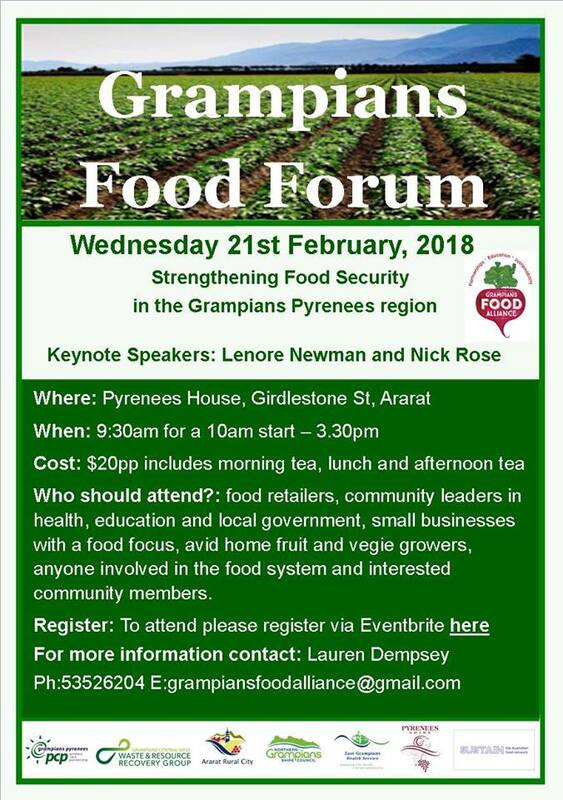 As part of the Sustain Urban Agriculture Conference, the Grampians Food Alliance is holding a ‘Speaking Tour’ to discuss strengthening food security in the Grampians Pyrenees region. 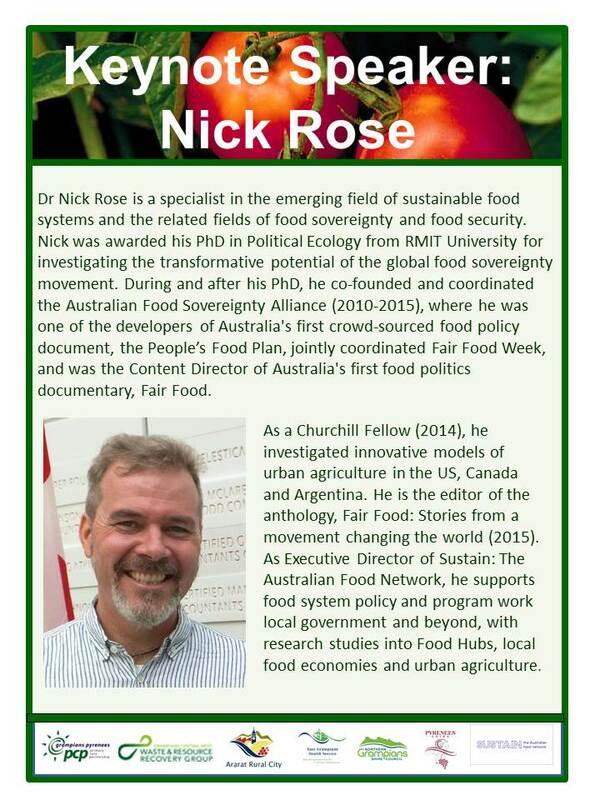 To be held on Wednesday Feb 21 at Pyrenees House, Girdlestone Street Ararat. You need to book via the Eventbrite link and you will find more information about the event there.